Our work at The Steel Yard has recently been featured on CURBED and Architecture & Design in Australia as an example of adaptive reuse. See below for links to the articles. We are honored that the Steel Yard has received a 2013 Rudy Bruner Award for Urban Excellence. The Steel Yard was one of four winners of the Silver Medal from the Bruner Foundation. More information from Metropolis and Archpaper. 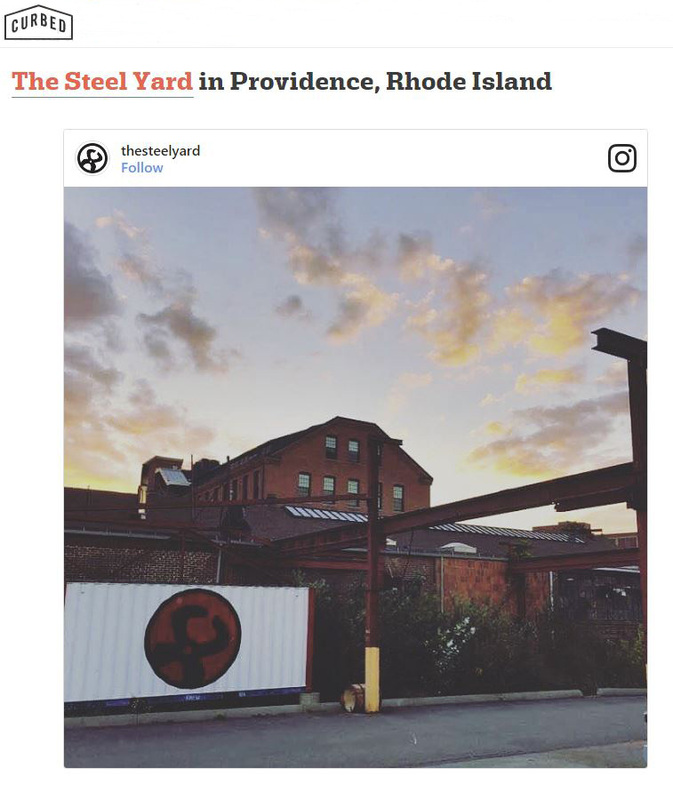 The Bruner Foundation team wrapped up our site visits to the 2013 Rudy Bruner Award for Urban Excellence finalists with a trip to The Steel Yard in Providence, Rhode Island. Submitted by Klopfer Martin Design Group, the Steel Yard is an ongoing redevelopment of an historic steel fabrication facility into a campus for arts education, workforce training, and small-scale manufacturing.